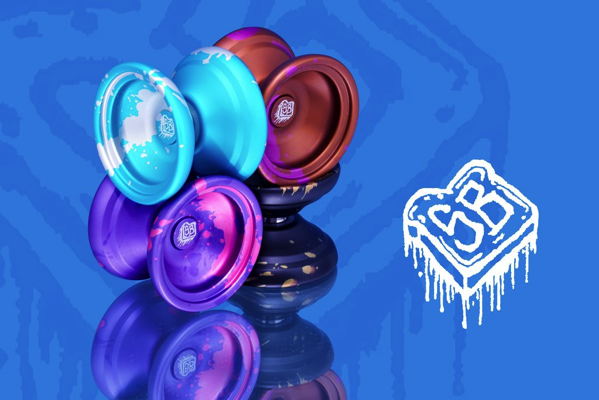 YoYoExpert Blog & Yo-Yo News – Freshly Dirty Stale Bread New Release! “That which was once fresh is destined to be dirty.” – Or, in this case… Stale. The Stale Bread began life back in April of 2017, as a bi-metal design oriented for competition. It wasn’t always stale; we initially planned on releasing this bi-metal as “Fresh Bread”. However, as the concept evolved and our goals as a company became more focused, the yo-yo was re-imagined into what it is today. Instead of starting from a V, H, or O shape, we started from a feeling. By taking a set of qualities and working backwards to create a profile and specifications that embody that feeling, our goal was to get away from recycled shapes and old ideas. Freshly Dirty is about having fun. One of the most exciting moments in yo-yo is picking up something new and feeling inspired in a way that feels fresh and innovative. That’s what the Stale Bread is all about. Releasing 6/22 @ 8PM EDT!